Chinese composer Bochan Li’s work for orchestra, Tibet Overture, will be performed at the Seattle Symphony’s Celebrate Asia concert on February 11, 2018. Bochan Li has been named the winner of the Seattle Symphony’s 2017–2018 Celebrate Asia Composition Competition for his piece entitled Tibet Overture. The Seattle Symphony, conducted by DaYe Lin, will perform the world premiere at Celebrate Asia on Sunday, February 11, 2018. The Seattle Symphony’s Celebrate Asia Composition Competition invites submissions from emerging composers who find inspiration and influences in Asian culture, music and traditions. The reviewing committee selected Li’s work after receiving numerous local, national and international submissions. Li was inspired by the Buddhist temples he visited while conducting field research in Tibet. Using timpani, tubular bells and cymbals to imitate the sacred instruments of the temples, Tibet Overture imaginatively carries the listener through a land wreathed in dawn mists before ending in a brilliant, energetic display of ritual and morning light. 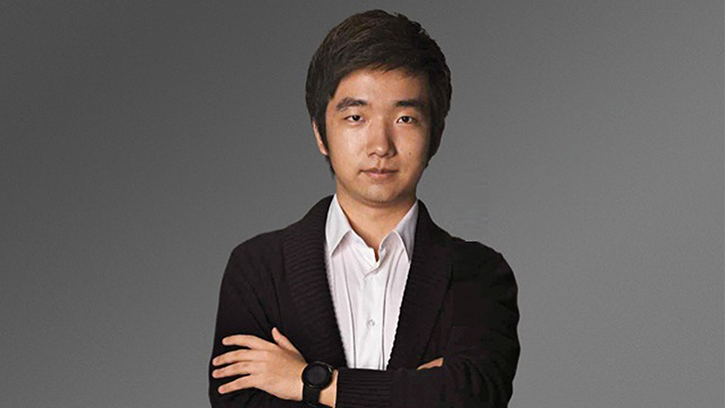 Li is currently a graduate student at Beijing’s Central Conservatory of Music where he studies with Guo Wenjing, Ye Xiaogang and Liu Changyuan. His music has been performed at festivals and competitions in the United States, Europe and throughout China. Celebrate Asia honors Seattle’s Asian-American community through a concert that explores the rich musical traditions of Asian countries. Now in its tenth year, the concert is an annual tradition where people and families of all ethnicities come to immerse themselves in an afternoon of cultural exchange and vibrant celebration. Get tickets now for Celebrate Asia with the Seattle Symphony! Celebrate Asia is presented by Bank of America and sponsored by Delta Air Lines and the Atsuhiko and Ina Goodwin Tateuchi Foundation. Celebrate Asia Composition Competition is generously underwritten by Yoshi and Naomi Minegishi.